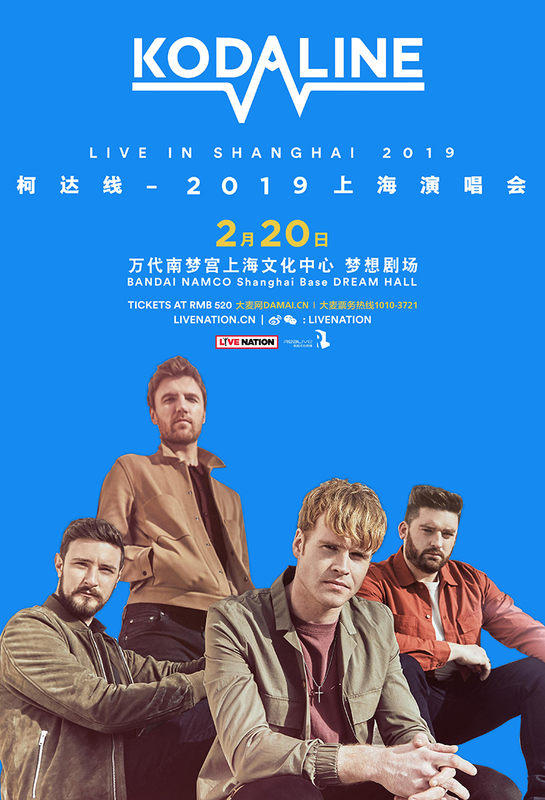 Ireland’s breakthrough, UK Platinum-selling band Kodaline, will bring their highly anticipated debut show to Shanghai on February 20, 2019 at BANDAI NAMCO Shanghai Base DREAM HALL. The band released their highly anticipated new album, "Politics of Living," on September 28, 2018, to rave reviews and are ready to embark their upcoming world tour! Kodaline formed in Swords, north of Dublin, in 2012. As a four piece, they achieved immediate success. Their 2013 debut album, Perfect World, established them as a highly emotional pop rock band with perfectly crafted songs in the anthemic vein of Coldplay. Kodaline are – singer Steve Garrigan, guitarist Mark Prendergast, bassist Jason Boland and drummer Vinny May.